FLR stands for female-led relationship. These are relationships in which the woman and the man agree that she will be the dominant partner, while he will be the subservient one. There are plenty of ways to engage in this type of relationship for a fulfilling and adventurous lifestyle. Here are the details on what it means, its various aspects, and how to apply FLR principles to your own relationship. He wants to give you a gift. A very special and unselfish gift. He wants to have you brought to levels of sexual ecstasy you haven't had lately...or ever. He wants to share you with other men. How can putting him in male chastity and being his key holder, crossdressing and feminizing him, make him more able to deliver his gift and take away his reluctance? How does male chastity work, and what can be the results? What happens when a man is feminized, and what benefits can you get from it? Enter the risky and exciting world of an entirely new type of relationship with your feminized male in chastity, who bathes you, gives you pedicures and manicures, prepares your clothing and helps you get dressed for your sexual encounters with your new boyfriends. A relationship where you are completely in control and she's loving it. Your feminized male in chastity will love the way you're cuckolding him with your hot, virile men who bring you to one pounding rapture after another while she's helping to hold you in place for them, helping them to enter you, aiding in your stimulation, getting them ready for you, cleaning up after, and making you all breakfast. Spice up your bedroom. 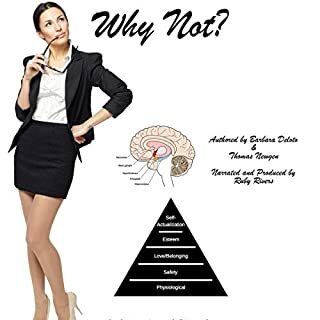 Even if you do nothing in this book, the two of you listening to it together can lead to some exciting bedroom fantasies to tap into as you openly discuss the material. 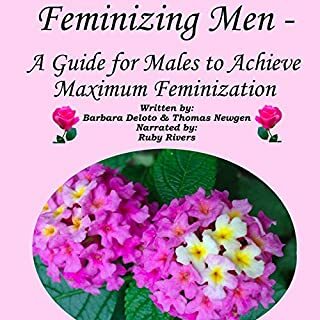 Whether you just become a keyholder, or take it further and feminize him, or take it all the way and let him give you the gift of other men is up to the two of you. This book can only make some points for you to discuss, consider, and even try. A quick listen at approximately 10,000 words.